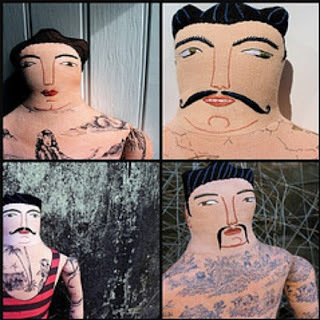 nancy rosetta: A few of my favorite Boston Handmade things. A few of my favorite Boston Handmade things. Being a member of such a talented group of artisans and craft people can have it's advantages. I have the first look at some of the most wonderful new items, and sometimes...they are gifts! During the annual meeting in January, we exchanged gifts as a group. 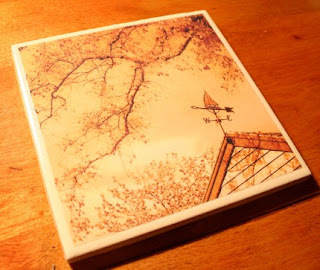 I was lucky enough to score two of these wonderful coasters from Lucie Wicker which have become a staple on my coffee table ever since. Hubby and I love them! 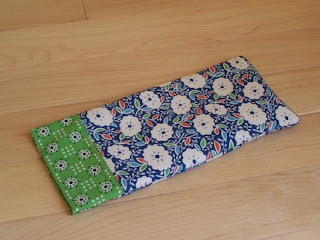 During the BH Downtown store's run, I had purchased an eyeglass case from Elizabeth Brennick designs which I have put to use as more than just an eyeglass case. I use it to hold the faceplate for my radio when I park in Boston, and when I am not parking in Boston...eyeglass case it is! 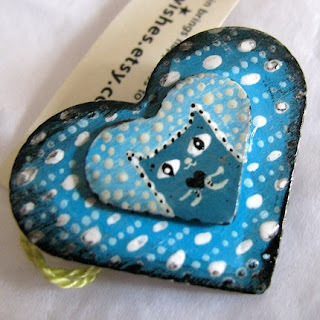 I also bought a painted wooded brooch from Wellerwishes (my sister, Kathy) which I wear all the time and love so much! Her pieces evoke a long lost imaginary magical time. So whimsical and colorful! I am a huge fan of Breton Bleu Studios, I am lucky enough to own a few of her original paintings. I'm a huge fan! 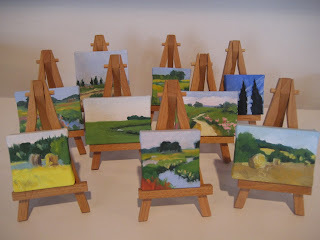 My favorite is a mini painting of a marsh that reminds me of Prince Edward Island...even tho I know that it was either from the coast of Massachusetts or of France. Here are a few together. What are your favorite Boston Handmade items? Hi Nancy, I loved this trip though a few BHers. Thanks for including me! Thanks for the love :-) Great post! I apologize in advance for when you all will see this same post on the BH blog in a week or so. But...it does warrant a wider audience!